What is the Magna Carta Project? 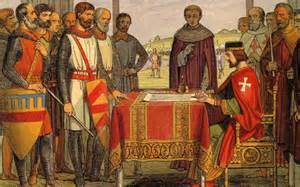 I thought I might spend a little time writing about the upcoming 800th Anniversary of the Magna Carta. This is a huge project, so I think I will explore this celebration over several articles in coming issues. I have been working for some time on the Magna Carta Project on WikiTree. Wikitree is a free collaborative worldwide family tree; and one of its efforts has been to take on the task of identifying the website profiles of the Magna Carta Surety Barons and the Gateway Ancestors that ultimately came to the American colonies. In the process of working with this project, I have discovered a few things about myself: 1) I am fairly good at genealogy research; 2) My HTML skills are approaching advanced; 3) This is exactly the sort of project I had been searching for since finishing college. Although the general deadline is set for June 2015, I am experiencing the same feelings I had when working on a challenging paper in college (Yes, I’m a geek, and I love to write!). 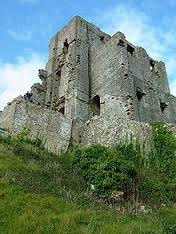 I love the challenge of researching the Magna Carta Surety Barons and the Gateway Ancestors that arrived on the shores of what would come to be known as the United States of America. It started with the Pilgrims at Plymouth Rock, the Massachusetts Bay Colony, the Virginia Colony, and all the other colonies that come to form the Thirteen Colonies that would one day rise up against the British Empire and begin to create a new and experimental Democracy. It is hard to imagine that this might not have happened at all, had it not been for the Magna Carta and the Magna Carta Surety Barons. During my research on the Magna Carta Surety Barons and their descendants, I began to realize this was a work of greater magnitude than I had anticipated. One of the things I soon discovered was that I am also a descendant of the Magna Carta Barons, and that there are many living today in the United States today that also descend from them…but don’t realize it. In the coming weeks I will write more on the Magna Carta Project at WikiTree, and I will begin to write their story.